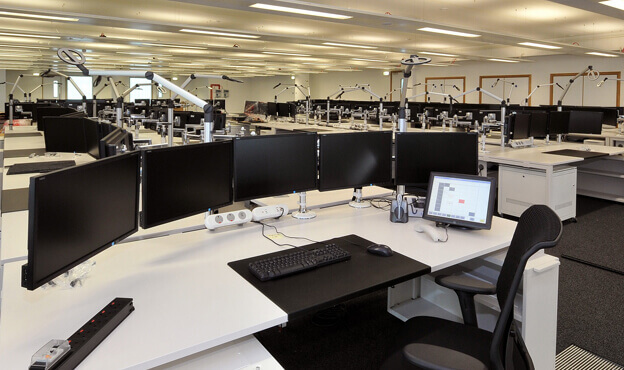 A new rail operating centre was required at Three Bridges, Crawley, that would become one of 12 to operate the entire British rail network, replacing over 800 signalling boxes and representing the first ‘second generation’ control centre to be built in the UK. Spencer Group was commissioned to deliver the project through GRIP stages 5 to 8. The three-storey building design incorporated blast mitigation features in line with guidance from the Centre for the Protection of National Infrastructure. 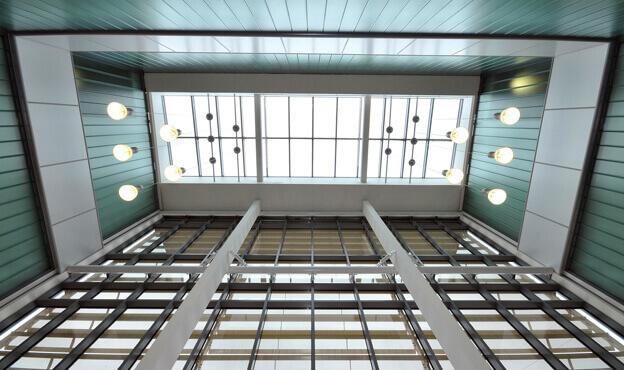 Architectural features included a full three-storey glazed entrance atrium, with a corridor light well running the full length of the building. 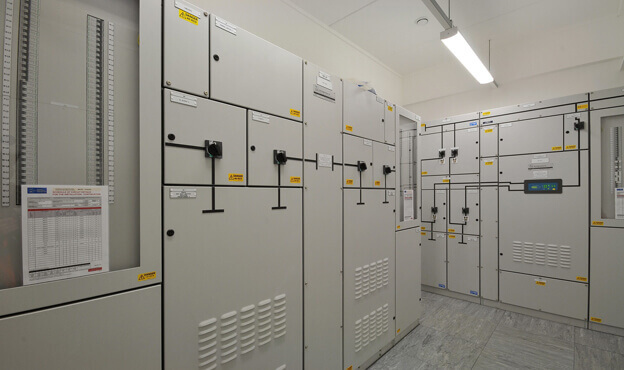 The team installed a multiple-level electrical distribution system with UPS back-up, providing power redundancy to maximise system resilience for signalling, ECO and route control systems. State of the art security systems were also incorporated to manage and maximise the safety of personnel in and around the building. Innovation and value creation were at the heart of Spencer’s approach, overcoming a number of challenges, including a single point of access to the landlocked site. The result of the works ensures that Three Bridges will be one of the most important places on the railway map in the south east. Eventually, the centre will control the Brighton main line, which stretches from London Victoria and London Bridge to Brighton and the south coast, encompassing vast surrounding areas. In turn, this will allow the rail network to cope with the 5-7% increase in passenger demand year-on-year that has been seen in the last decade. In addition, the project will bring great financial benefits to the local area, with an estimated 3000 jobs created.